Find McDowell Mountain Ranch real estate, condos, townhomes, and every listed property for sale. You are able to get new property listings daily that meet your search criteria. McDowell Mountain Ranch is a beautiful 3,200 acre master-planned neighborhood located at the foothills of the McDowell Mountains in North East Scottsdale. Opened to the public in 1995, this established community has been sought after because of its proximity to the McDowell Sonoran Preserve, the city and mountain views, proximity to schools, shopping, dining and easy access to hiking and mountain biking trails. 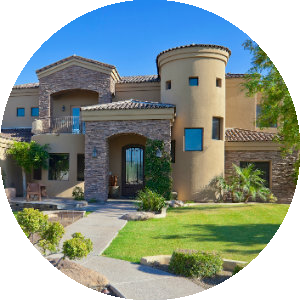 McDowell Mountain Ranch Real Estate is made up of several communities and subdivisions that fit most lifestyles. The nearly 4,000 home-sites are broken into 26 distinct neighborhoods, built by 14 different builders that also include 2 condo developments and 1 apartment complex. There is a diverse spectrum of single family, patio homes, townhomes and custom lots available. McDowell Mountain Ranch Real Estate offers many opportunities with its attractively priced homes and diverse real estate options. For home buyers seeking parks, walking trails and other amenities there are covenant protected subdivisions such as Cimarron Hills, 100 Hills and Mirador that meet those home search criteria. There are also Golf Course communities including Sonoran Estates, Sonoran Fairways and Sunset Point where the golf enthusiast can enjoy golfing and club house memberships. There is a diverse spectrum of single family, town homes and lot sizes available in McDowell Mountain Ranch. Prices range from the $350,000’s to over $3 million for custom luxury homes. Over $130,000,000 was spent on developing the infrastructure of McDpwell Mountain Ranch including amenities such as two heated pools and spas, tennis courts, a newly redesigned golf course, children's playgrounds, basketball and volleyball courts, picnic area and miles of paved and natural trails. McDowell Mountain Ranch is home to the Scottsdale Arabian Library and the McDowell Mountain Ranch Park and Aquatic Center which includes a lazy river, a waterslide, a skate park, and a fitness center. People who seek a lifestyle in a well established and mature neighborhood within a master-planned community will find McDowell Mountain Ranch a great place to purchase a home. The NEW McDowell Mountain Golf Club in Scottsdale (formerly Sanctuary Golf Course) is one of a kind! This Scottsdale golf gem was inspired by Phil Mickelson and course co-owner Steve Loy, his former golf coach at Arizona State, hired Randy Heckenkemper, the original designer, to do a $1.2 million makeover of the McDowell Mountain Golf Club. Course architectural changes were overseen by the original golf course architect Randy Heckenkemper and included making many of the playing corridors wider, additional waste bunker additions, reshaping a number of fairways, adding additional teeing areas and more! 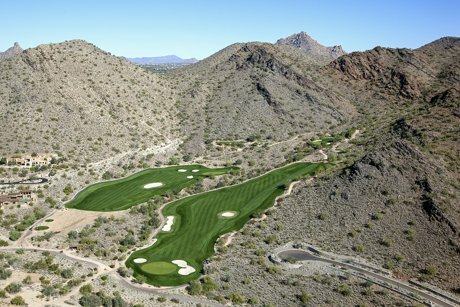 Built on the western slope of Scottsdale's McDowell Mountains and adjacent to the nationally recognized Westworld equestrian center this premier Scottsdale golf course, now stretches to a 7,072-yards, and delivers a stunning Scottsdale golf experiences that will keep you coming back for more. Rates range from $50 to $89 weekdays and $55 to $99 weekends. The peak-season greens fee will range from $65 to $125 and summer rates will drop as low as $35 per round. Make sure your next Scottsdale golf vacation includes a visit to the McDowell Mountain Golf Club. McDowell Mountain Ranch is located in the Scottsdale Unified School District. 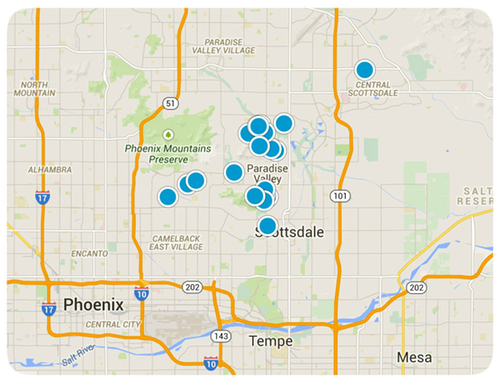 You'll find the very latest homes for sale in McDowell Mountain Ranch featured below. This information is updated throughout the day so be sure to check back often! 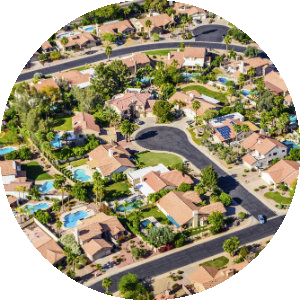 Search the complete inventory of McDowell Mountain Ranch homes for sale by price, community amenities, square footage and more using our detailed ADVANCED SEARCH option. See something that interests you? Want more information? 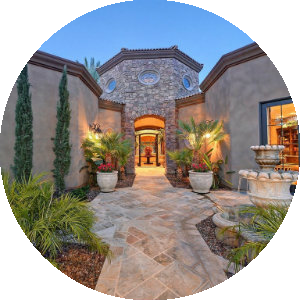 Contact Us anytime to schedule a private showing for any property you find on this site or for more information on the community of McDowell Mountain Ranch and all Scottsdale real estate.